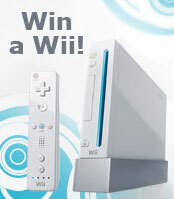 Right now you may win a great Nintedo Wii. You may see the first winner and his points on home screen under the title, "users with most win points". You may also see your actual number of WIN points right on the home screen after logging into the system. 1. Submit essay (longer essay, more WIN points gathered). *You have to download the essay first, before you rate it (page with detail of the essay). **To avoid unethical and illegal comments, all comments are authorized by our reviewers. You do not receive the win points until your comment is authorized. For each of these actions, you score specific number of the WIN points. The actual score of your WIN points is shown on homepage after logging into the system. The person who gathers the highest score of WIN points, in the announced period of the contest, wins the prize. How many WIN points do I get for each action? You would receive the maximum win points for submitting essays. These points are shown immediately in your account when your essay has been reviewed and accepted into the system. (48 hours max). For every accepted essay, your membership is prolonged by 30 days. The table below shows you the score you get, depending only on word count of the essay. You may also get win points for writing a comment to the essay (only for the first comment per essay; any other comment to the same essay is not credited). Further, you may get points for rating of the quality of the essay you have downloaded (just go back into detail of the essay after you download it). Use the WIN point calculator to find out your actual score of the Win points that you can get for your essay.